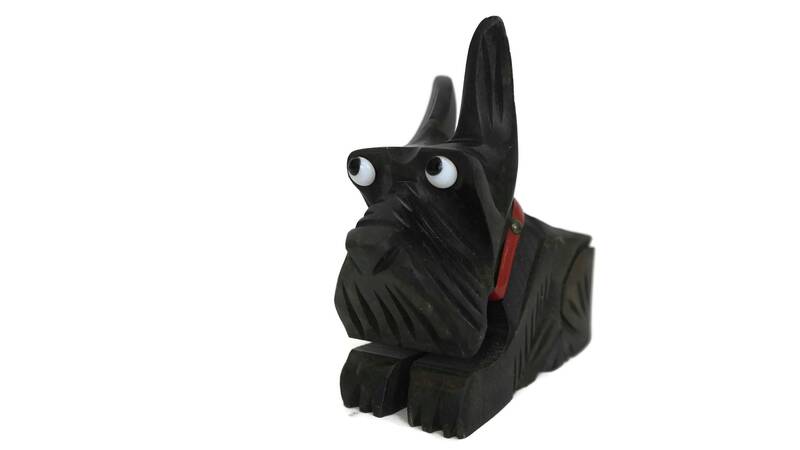 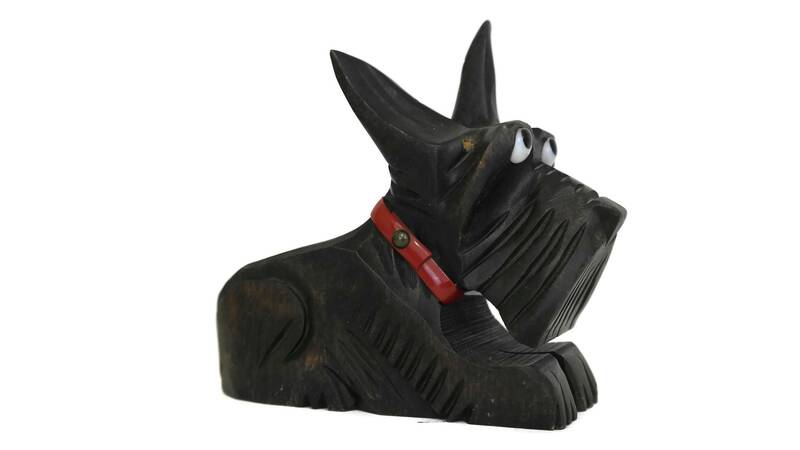 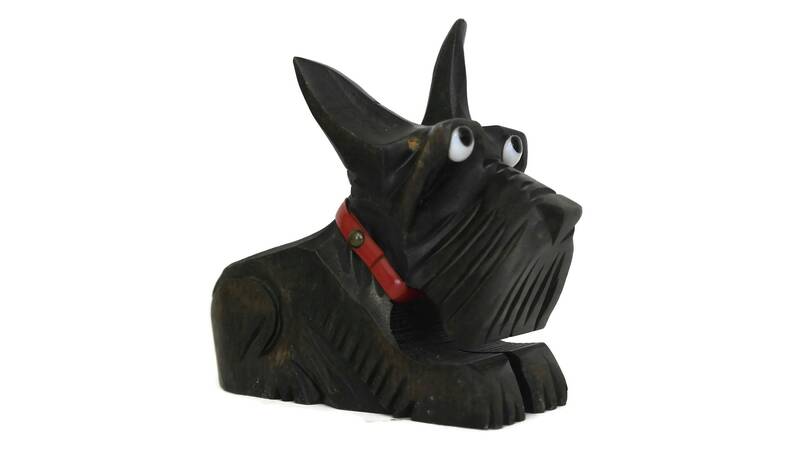 A funny Art Deco Scottish Terrier figurine dating from the 1940s. 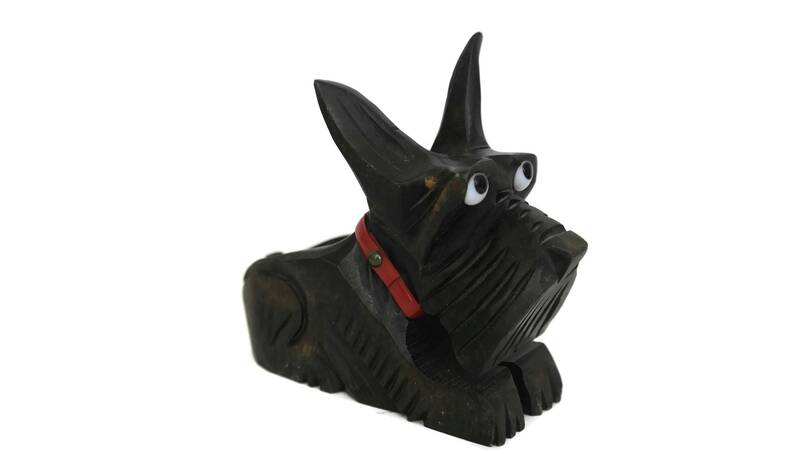 It has ben made from hand carved wood and was originally used as a pipe holder. 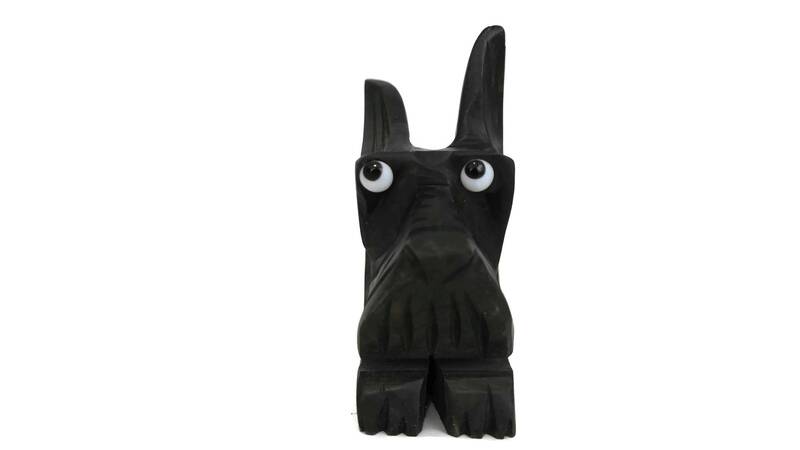 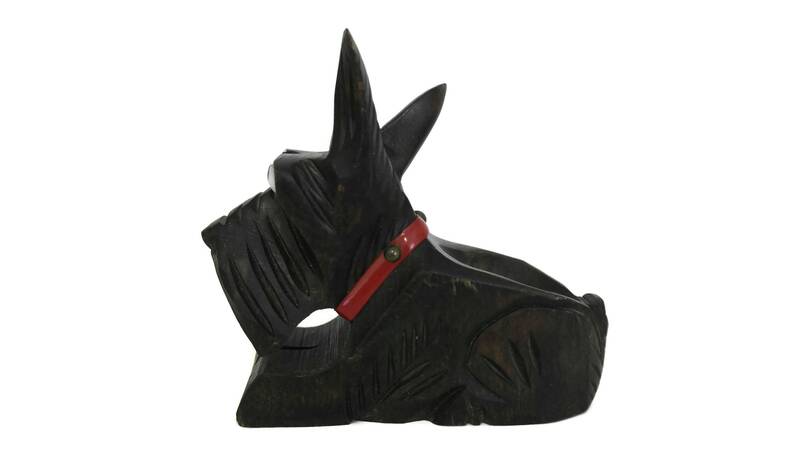 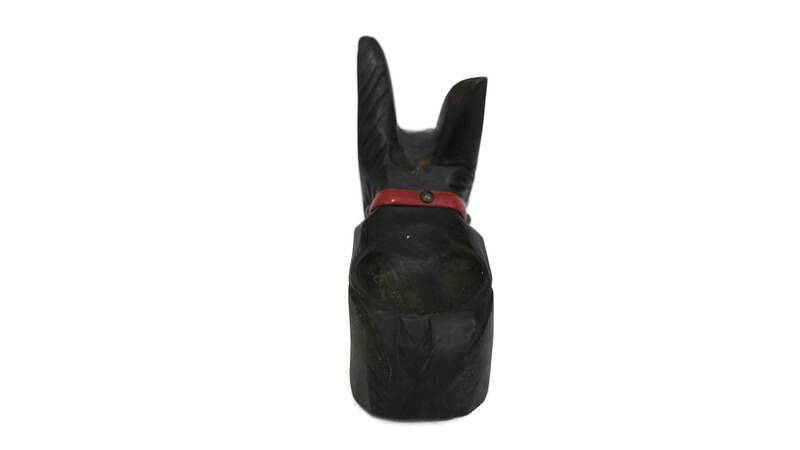 With its long pointed ears and streamlined body, this finely carved dog figurine has a definite Art Deco look. 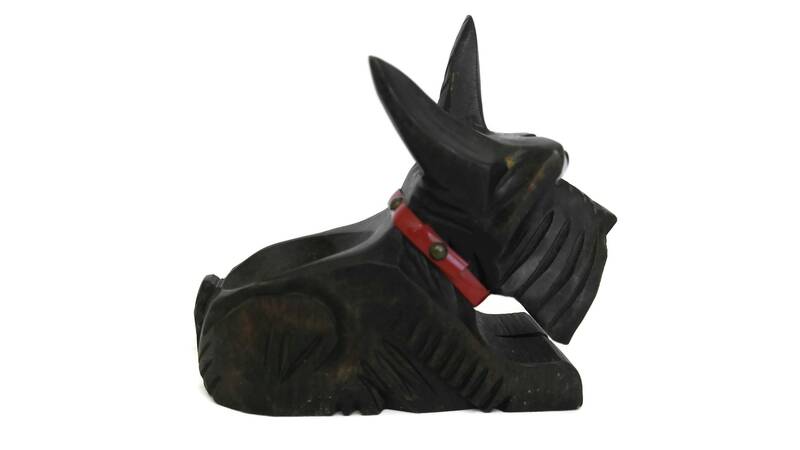 It has eyes are made of glass and wears a red plastic collar fixed with metal studs. 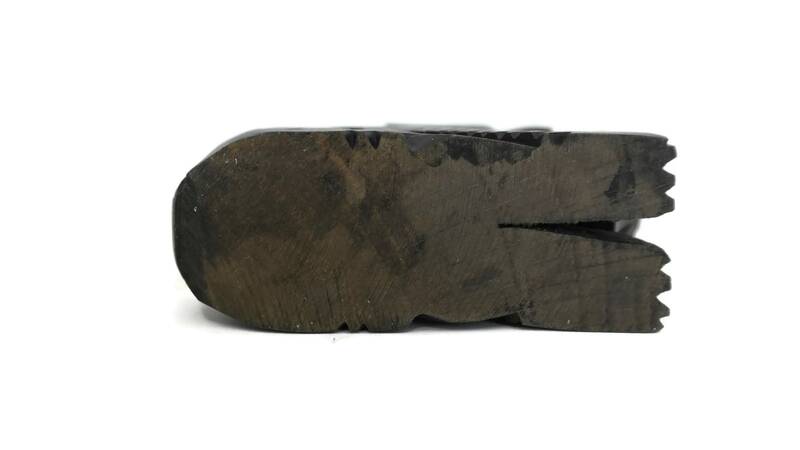 4.3" Tall x 5.5" Long x 2" Deep (14 cm x 11 cm x 5 cm). 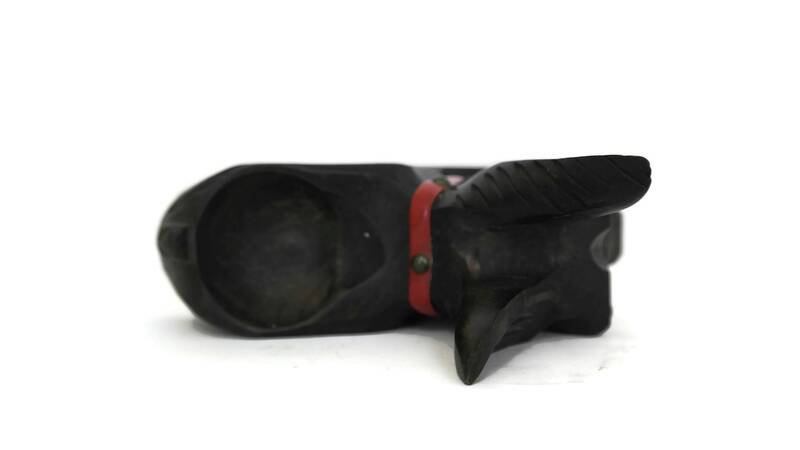 The Art Deco Scottish pipe holder is in very good condition with light signs of age and wear including patina to the wood.